Are you looking for an Ace Digital Marketing Agency? In today’s age of the Internet and globalization, and with access to computers, tablets or mobiles, customers have access to information anytime and anyplace they want or need it. What Marketing Heads of Corporates & Business Owners should remember is that everyone can influence the image of their companies via Social Media and should pick their digital agencies who have few distinct characteristics. 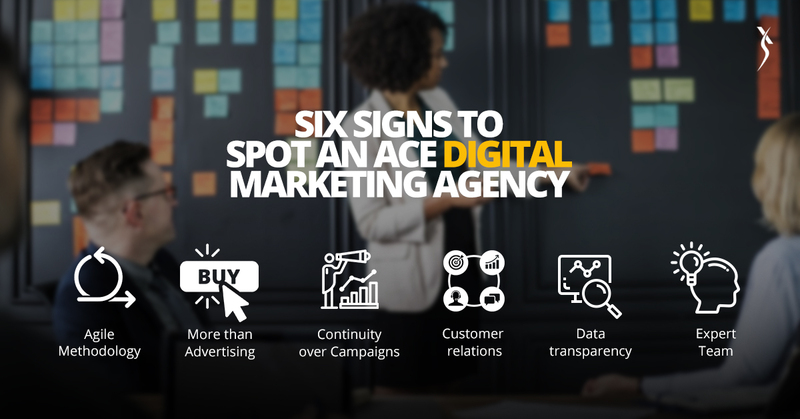 Here are six characteristics (signs) of an ace digital marketing agency. First, the agency is able to shift quickly with changes in the client’s market, business, or marketing plans. Nothing stays the same in businesses or marketplaces for long, and the agency which is agile not only knows that but has a culture and processes that enable it to adapt with the changes and keep current with the client’s needs. Second, and perhaps more important, the agile agency is ahead of the trends in digital marketing in general and in the client’s business in particular. The agency proactively keeps clients informed with the latest news on digital marketing. 2. Knows more than advertising. Advertising and direct selling should remain part of an overall marketing program, but companies engaging digital marketing agencies can expect more than that. The concept of inbound marketing has become pretty well known: marketing assets that bring value to the audience and thereby build awareness and reputation in a way that draws prospects to the brand and tries to coerce them into buying or trying the brand’s products. The high-quality agency knows how to build strategies for content that a brand’s audience will love, and that will make them love the brand all the more. 3. Agency emphasizes continuity over campaigns. Campaigns can be a perfectly valid and valuable part of marketing. But if an agency can only recommend campaigns, something is missing. – Focusing only on campaigns take your focus away from your overall, long-term goal. So what do we mean by “continuity”? Continuity involves an overall marketing strategy aimed at building long-term brand value in the marketplace. High-quality agencies aren’t in it for the quick traffic hit. They know they only win when their client becomes top-of-mind for prospects in their vertical. 4. Supports clients rather than runs customer relations. Consumers have become savvy enough to sniff out genuine vs. canned customer relations. Great agencies teach their clients how to manage those relationships better, instead of just doing it for them. 5. Believes in data transparency. The high-quality agency believes that they and the client benefit best when data is open and shared, and each can apply their expertise to gain insights from that data. Such agencies are also always willing to show the client the source data behind their reports & willing to enter into open discussions to improve the performance. 6. Builds a team of top experts. A truly professional agency attracts and nurtures the best talent. Unlike an individual consultant, such an agency can offer the client the advantage of a team of multidisciplinary specialists, who can work together to formulate a holistic marketing strategy. We infuse life into your brand such that it enables you to evoke emotion in your target audience. We are focused on being responsive and creating a space for your customers to engage with your brand & understand its true spirit. 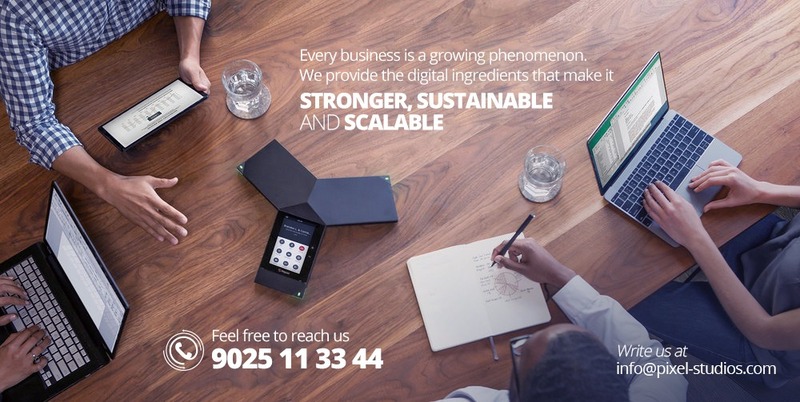 Find out more about our Digital Branding solutions and feel free to reach us for all your queries/requirements regarding Digital Marketing (We say it’s Banding Digitally). Are you looking to spot an Ace Digital Marketing Agency?